Title: Spirou Vengance de Samourai. Format: DVD. Attributes: Canada - Import. Title: Beauty and the Beast: The Complete Series. Format: DVD. 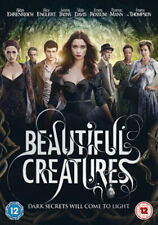 Region: DVD: 1 (US, Canada.). Release Date: 2014. Original Language: ENG. Format: Misc. Title: Smooth Talk. Region: DVD: 0/All (Region Free/Worldwide). Attributes: NTSC Region 0, UK - Import. Release Date: 2016. You will need an all-region DVD player to view. Condition is excellent. Beauty And The Beast - Belle's Magical World. Format: DVD. 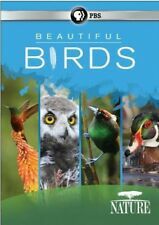 Distributor/Studio: PBS (Direct)On the island of New Guinea in the South Pacific lives the most striking and diverse group of birds on the planet. Birds of paradise defy imagination. Covered in spectacular plumage, each species within the Paradisaeidae family is distinct. FACTORY SEALED! NEVER OPENED! It includes all the original artwork, cases, and of course the disc(s) itself. This video depending upon its production date, is either exempt from or fully compliant with U.S.C. 18 Sec 2257. Title: LAUREN GOODGER FITNESS 2015. Playback Region 2 :This will not play on most DVD players sold in the U.S., U.S. Territories, Canada, and Bermuda. You will require a multi-region DVD player and a PAL compatible TV to view. Korean, Mandarin. BEAUTIFUL LIFE. NEW & SEALED. 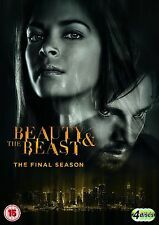 The Beauty & the Beast: The Second Season (DVD, 2015, 6-Disc Set) FREE SHIPPING! 5 out of 5 stars - The Beauty & the Beast: The Second Season (DVD, 2015, 6-Disc Set) FREE SHIPPING! 6 product ratings6 product ratings - The Beauty & the Beast: The Second Season (DVD, 2015, 6-Disc Set) FREE SHIPPING! Title: First: The Official Film of the London 2012 Olympics. Genre: Feature. Release Date: 2012-11-26. Number Of Discs: 1. Beauty and The Beast: Belle's Magical World [DVD]. 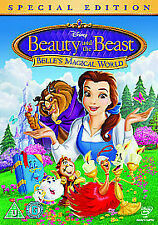 Title:Beauty and The Beast: Belle's Magical World [DVD]. All of our paper waste is recycled within the UK and turned into corrugated cardboard. Your item will be previously owned but still in great condition. All UK DVD's tend to be Region Code 2 or Zero (All regions). Region Code Studio: Walt Disney Studios HE. Neither submitting an electronic order form or completing the checkout process constitutes our acceptance of your order. 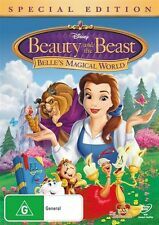 TITLE: Beauty and The Beast: Belle's Magical World [DVD]. DVDs, Films & TV. DVDs & Blu-rays. Acceptable - The disc plays perfectly, but is otherwise the worse for wear. Very Good - Plays perfectly. The jewel case might show limited signs of wear, as might the inlay notes and inclusions. Trending at C $3.90eBay determines this price through a machine-learned model of the product's sale prices within the last 90 days. MPN EDV9737. Format DVD. Genre TV Film Other. Director Richard Lagravenese. Leading Role Alice Englert. Leading Role Alden Ehrenreich. Leading Role Thomas Mann. Leading Role Emmy Rossum. Trending at C $5.95eBay determines this price through a machine-learned model of the product's sale prices within the last 90 days.